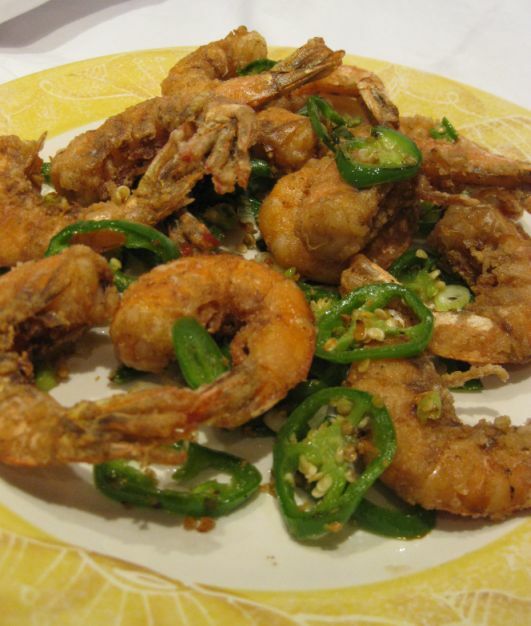 Spicy salt and pepper shrimp is a popular Chinese dish which we ordered frequently when dining at Chinese restaurants. 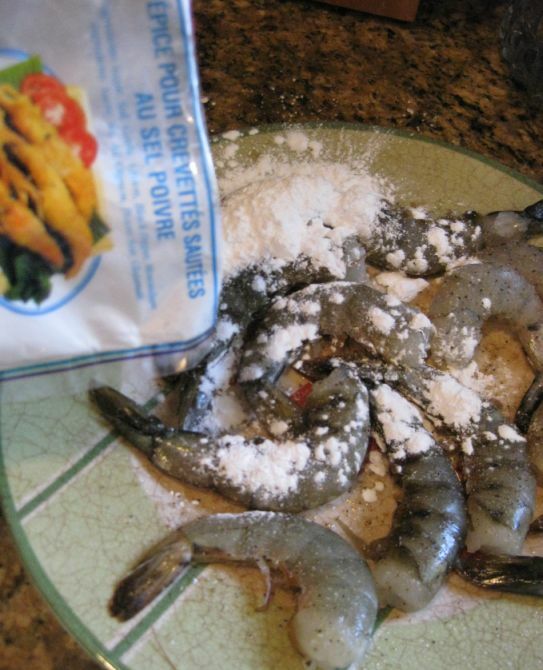 Salt an pepper shrimps are delicious cooked and eaten with their shells on. 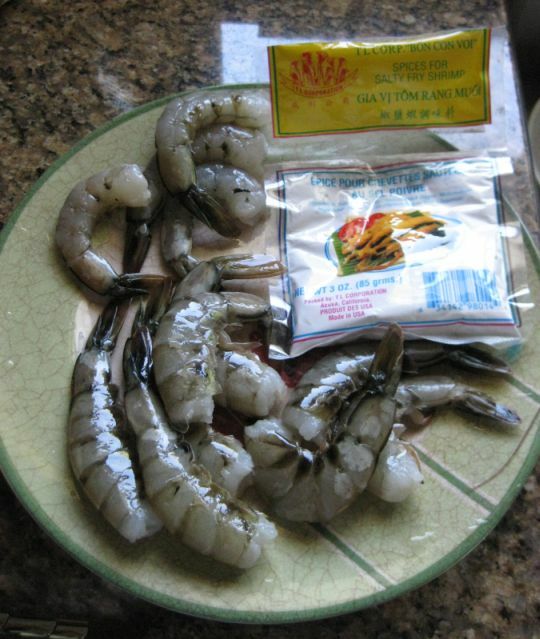 The shells give these shrimps an amazing flavor. 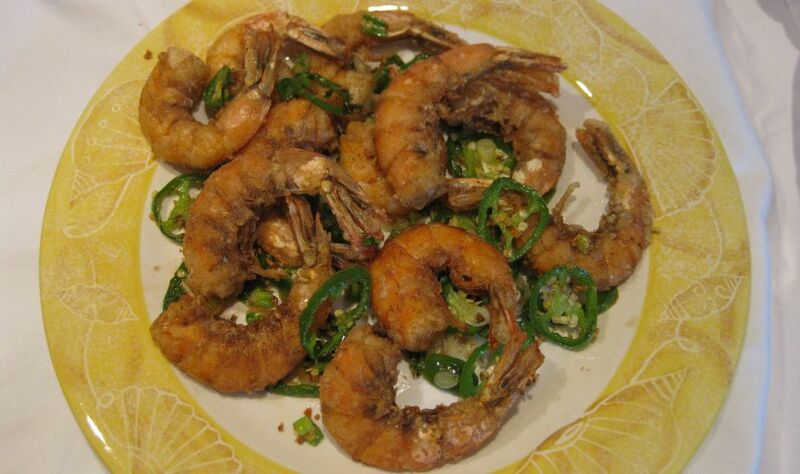 The deep-fried shrimp shells turned into a wonderful orange color, while the spicy seasoning adds extra flavor. 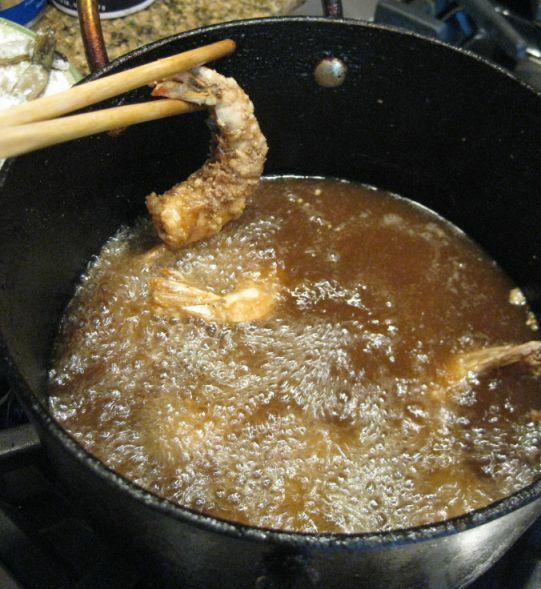 The shells protects the shrimp flesh leaving it tender and it is a nice contrast with the crispy shells . 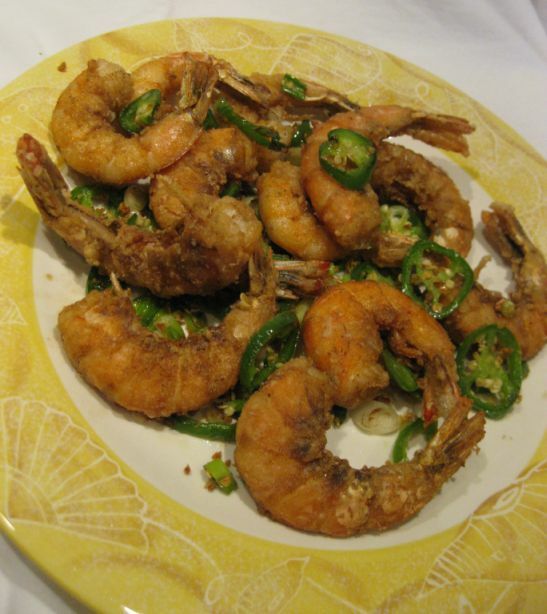 Spicy salt and pepper shrimps makes an excellent appetizer or a main course and it so easy to prepare and cook. The dish looks amazingly good! I am hungry just looking at this picture! Clean the shrimps and pat dry. you can see here the salt and pepper mix package. 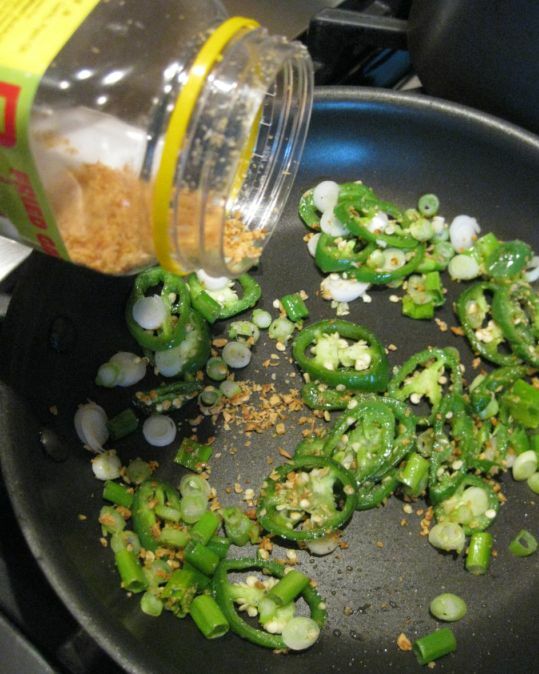 Sprinkle the salt and pepper on the shrimps and let it marinate for 5 to 10 minutes or longer. 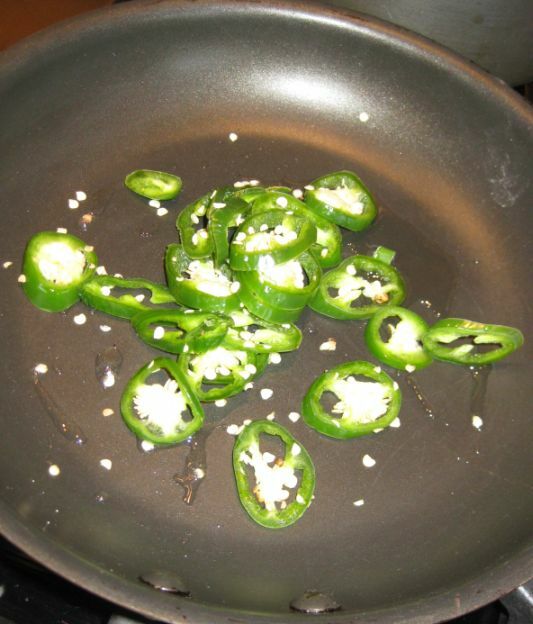 When you are ready to fry them coat them in corn starch or in the flour pouch that came with the mix..
Sauté the Jalapenos in an oil hot pan or 1 minute or 2 until they are soft. 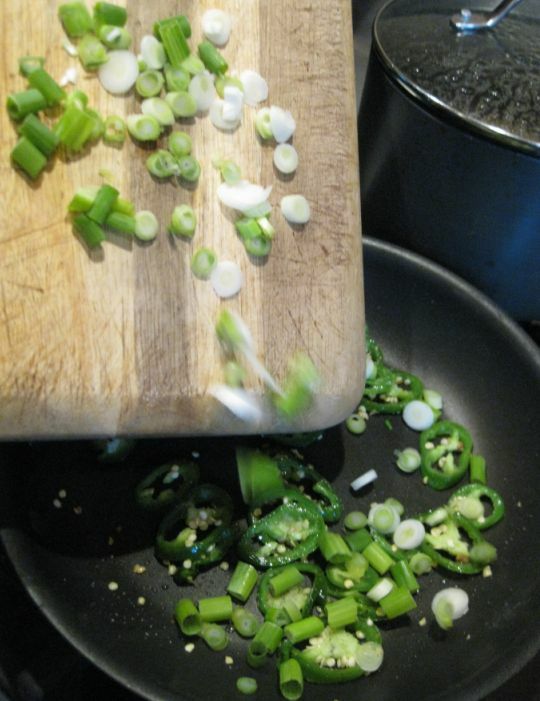 Add the green scallions and sauté for another minute. 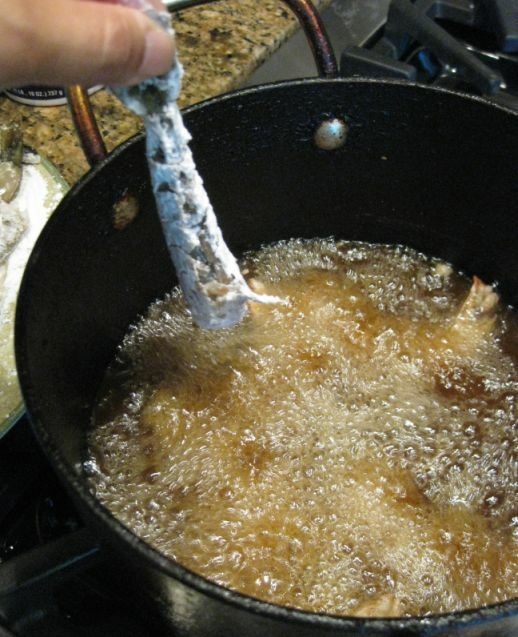 Add the fried garlic and sauté briefly and then add a teaspoon of butter. Butter does enhance the taste of the dish. 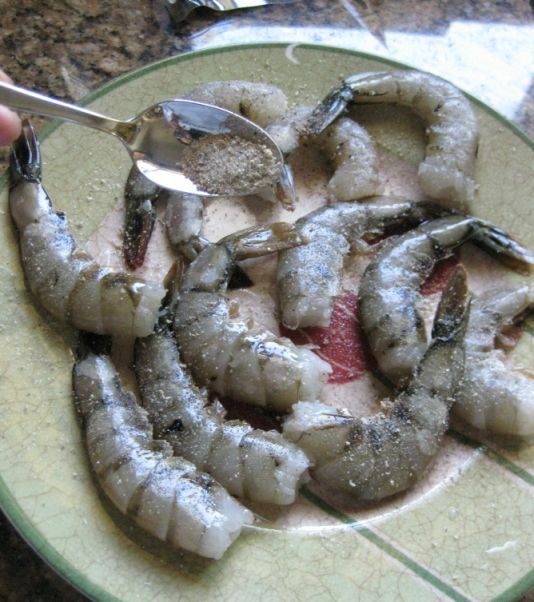 Remove the shrimps and put them on a plate. 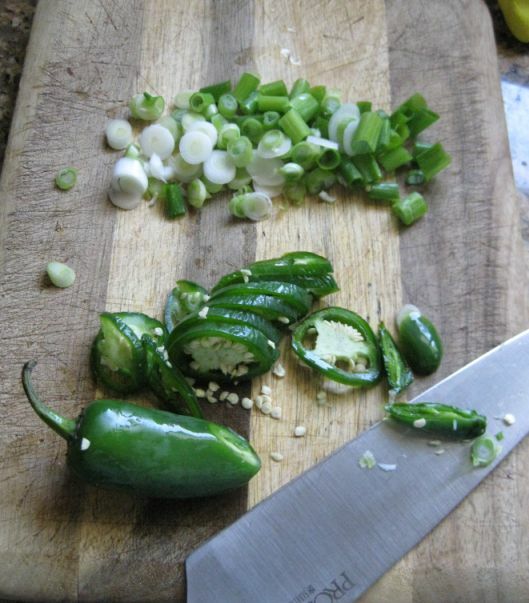 Poured the jalapenos and scallions mixture on top and mix it together with the shrimps.